Today the original Seabee base is gone, and is now the Quonset Business Park, but the history of the base is being preserved by former Seabees and friends of Seabees. In addition to the museum, we operate this store offering Seabee related products. Your purchase helps us preserve the CAN DO heritage. Click on product images for more information about an item. We can only list part of the merchandise we carry on the web. If you don't see something you are looking for, email us. If you are in the area and would like to shop in our store, you will find direction on our home page and contact page of our web site. International customers, please see the Shipping & Delivery information on our "Terms and Conditions" page (link below). US Navy Seabee story in words and pictures. Our most popular category! Patches up to a huge 10-in. in diameter. 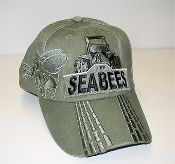 Top quality Seabee logoed clothing in an array of styles, colors and sizes. Two styles of Seabee flags to choose from. Show your Seabee pride on the road. 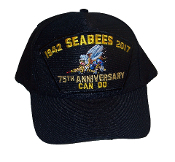 Included in this category are two exclusive Seabee Museum mug designs. 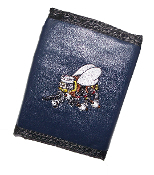 Seabee products you will not find anywhere else. 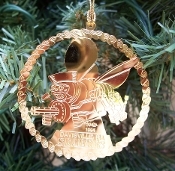 Take a look at our collection of Seabee pins and jewelry. You are sure to find something of interest. 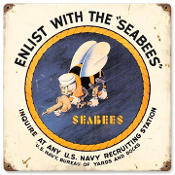 The Seabee Museum could use your help. 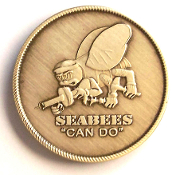 Donate to assure the future of the Seabee Museum.